Pocahontas and the English Boys follows the story of four people who shifted between the indigenous populations of North America and Great Britain. 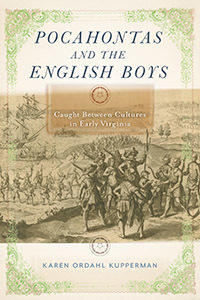 This book gets into the nitty gritty details of cultural immersion and how the distrust came between people in the colonies and those who lived with the native Americans. For any one interested in early Virginia and native American history this is a must read and provides a fresh perspective that is often little covered in other studies.